Reiki is a Japanese word meaning Universal life force; this is the life energy, which flows through all living things.I am a Reiki Master with many years experience of teaching; I use Reiki on a daily basis and often incorporate this form of healing within other treatments. 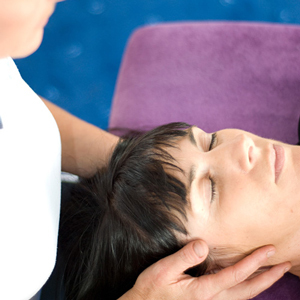 A typical Reiki treatment lasts approximately 1 hour and is usually performed with the recipient lying on the treatment couch fully clothed. My hands are placed in various positions on the body for a few minutes at a time, without pressure and sometimes held a little way away from the body. The energy is often felt as comforting warmth and helps to restore balance to the mind, body, emotions and spirit of the individual, leaving a deep sense of peace and well-being.